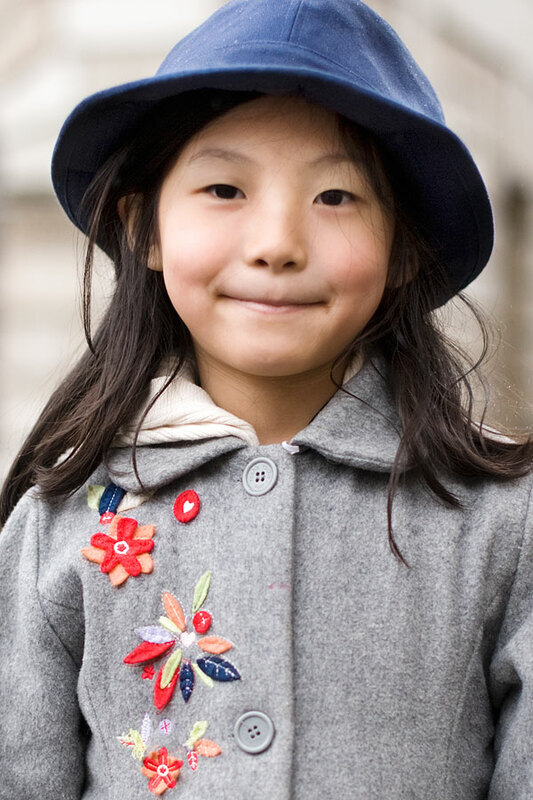 Xiao Wen Ju - so, so cute all bundled up against in the cold in her anorak and fur hat. Xiao is from China but her English is excellent.....I was waiting to take her photograph while she was being interviewed (about her fav beauty products, music etc) and she was as sweet as she looks! 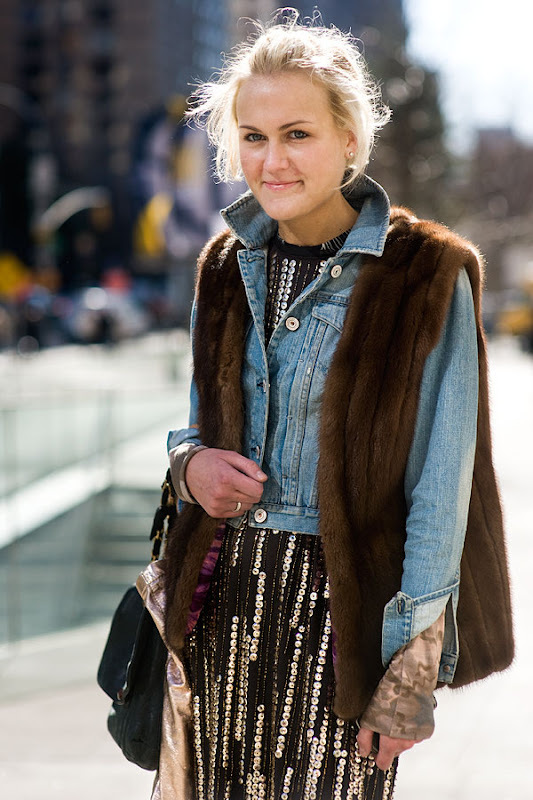 Completely love the sparkly, denim, fur combination on Mary Kate Steinmiller (Teen Vogue's Fashion Market Editor). I know it's a bit blurry but sometimes the emotion/moment is more important than how sharp the photo is. 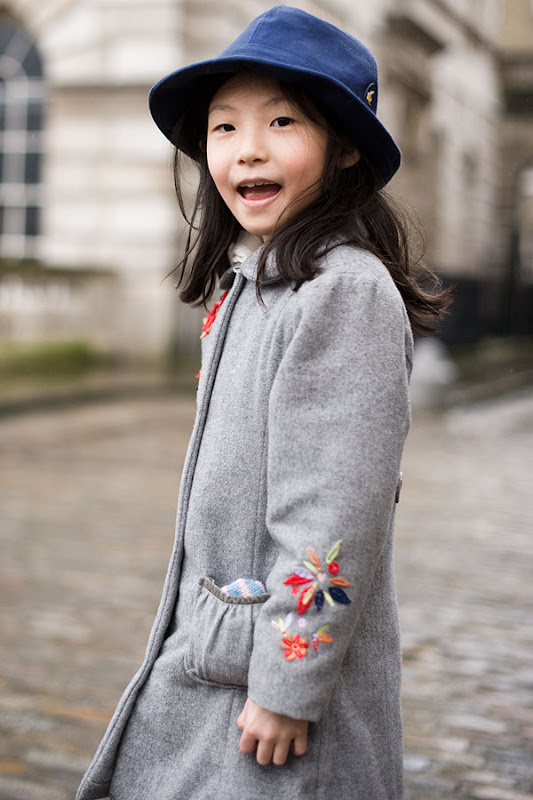 Her Daddy said she picked out everything she was wearing....she also proudly showed me her little collection of business cards she had been given at Somerset House. Starting early, huh?! 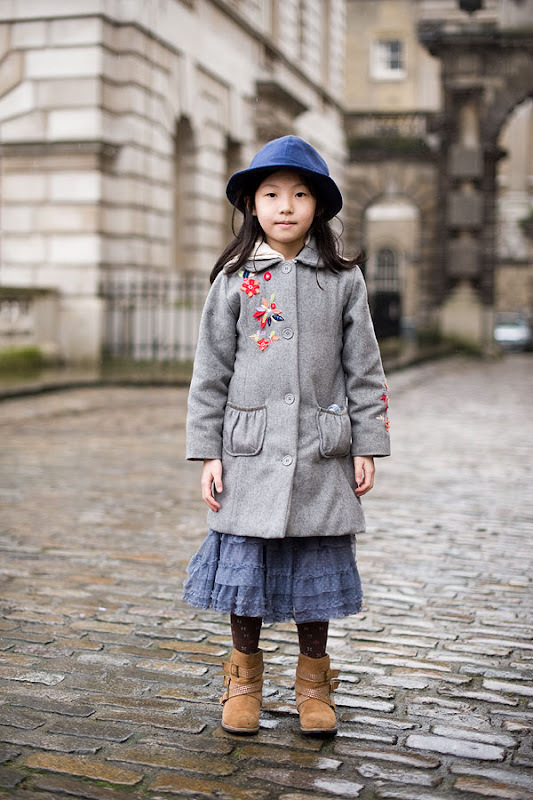 Labels: Junior Street Style, London Fashion Week AW 2011; Kids street style. The gorgeous, lovely Ms Yasmin Sewell. In love with this colour combination and the softest beige-y, pink coat. 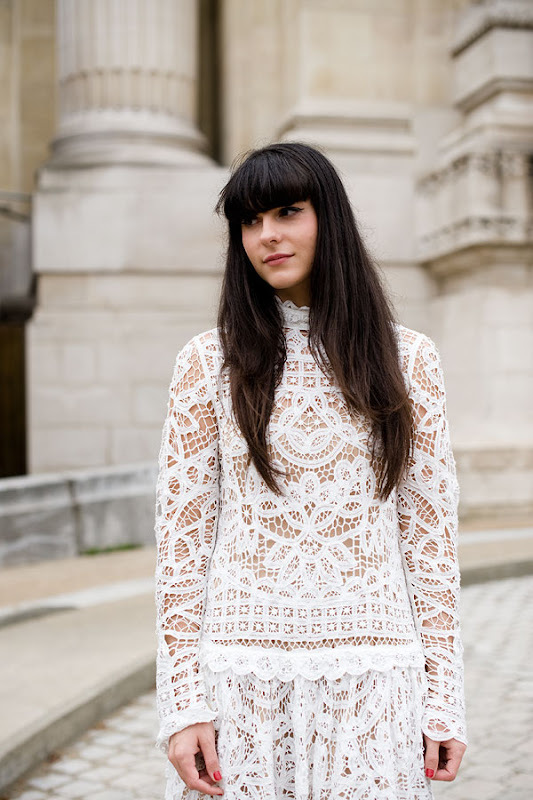 Zanna Roberts Rassi, Senior Fashion Editor, Marie Claire (US). p.s. Did you guys see her Marchesa wedding dress? So incredibly beautiful. 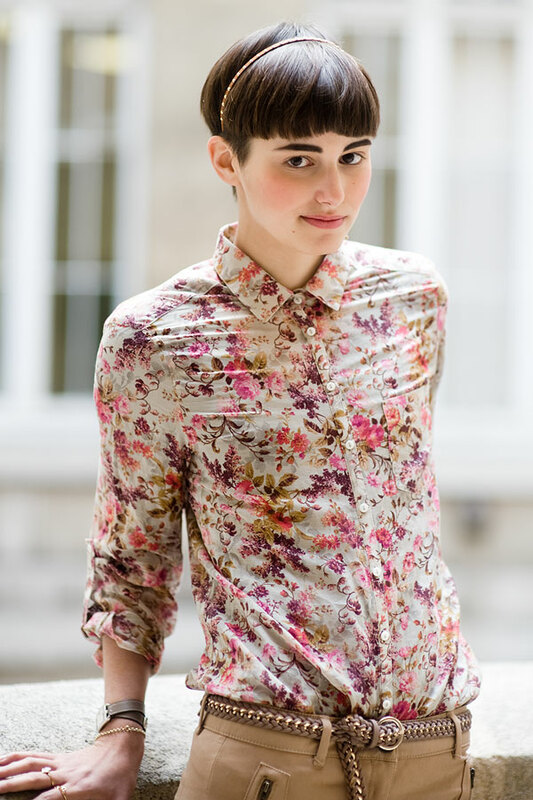 Model Naomi Preizler. Spied so many 70's inspired flared jeans, fur and looooong skirts during NYFW. Models Tati Cotliar and Naomi Preizler after Twenty8Twelve. Love Marina. Love the way she moves and is comfortable in everything she wears. Patience (love that name!) who I met when I took these photos back in September and keep randomly bumping into around London. 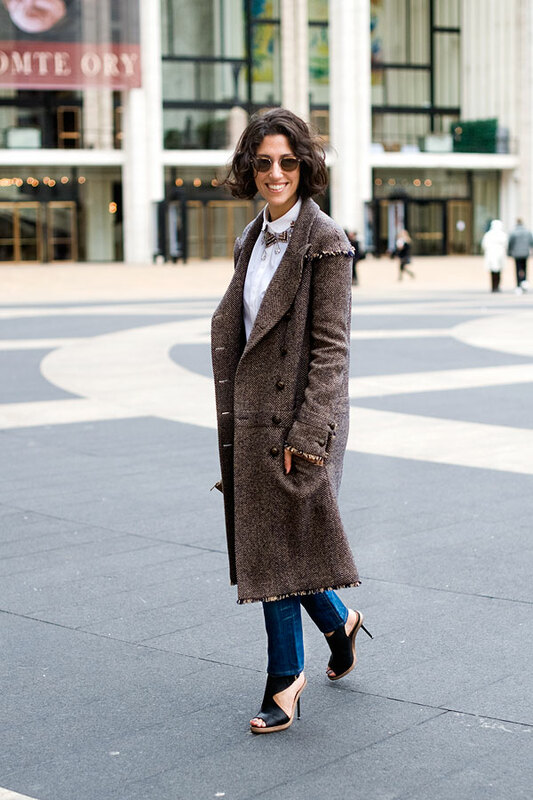 Stylist Sophie Assa- love that pretty shawl. 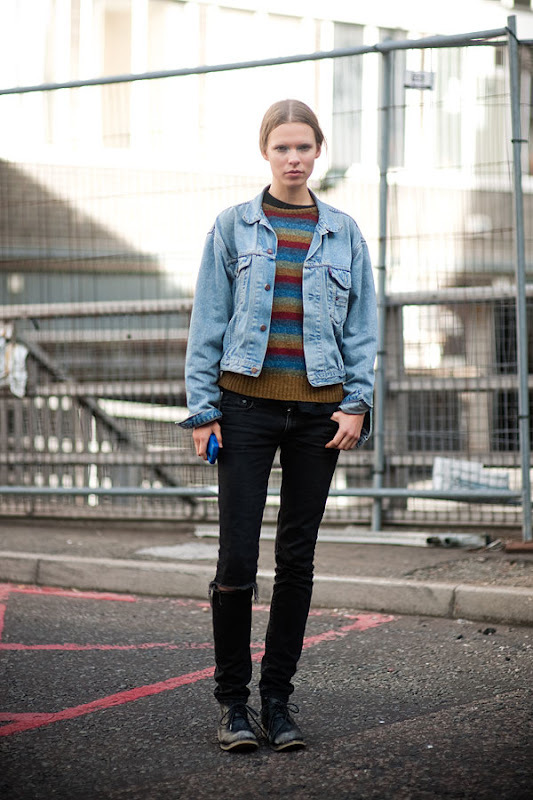 I always see them in vintage shops in London but am never quite sure how one would pull it off. Great transeasonal piece. Lucy (from Instyle) in disguise! 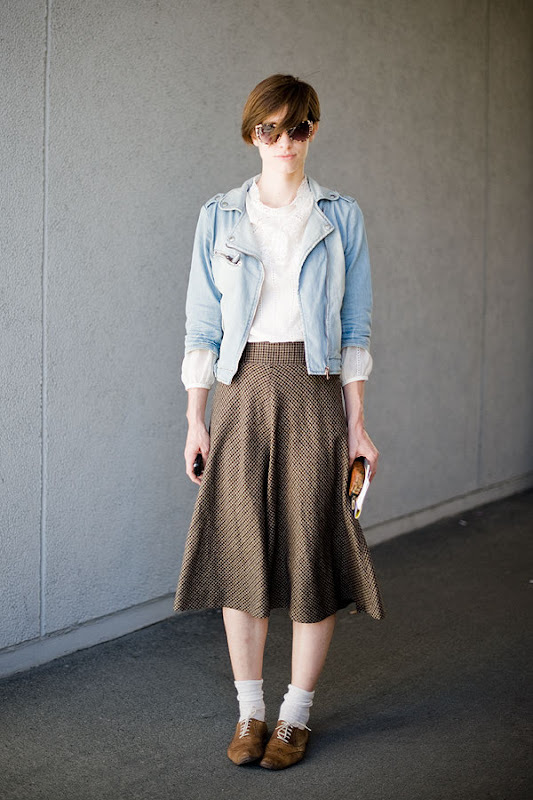 I am obviously having a "thing" with mid-length skirts at the moment: see also the 2 posts below (denim and Diane's pretty skirt). Miss Anne-Catherine. Who now has a blog- yay! I don't think twitter has entered into the equation yet but maybe soon :)) (I am loving my encouragement considering I am possibly the worst twitterer out there!). Mosey on over to her blog here and give her some love- y'all know what it's like starting a new blog and no one comes to the party!